Niseko United includes a 4 interconnecting ski resorts: Hanazono, Grand Hirafu, Niseko Village and Annupuri. Hakuba Valley includes 9 ski resorts: Happo One, Hakuba 47, Goryu, Iwatake, Tsugaike, Minekata, Norikura, Jiigatake and Cortina. Furano resort encompasses Furano and Kitanomine ski resorts. Kiroro is a medium sized resort spread over two mountain peaks housing two ski in/out hotels. 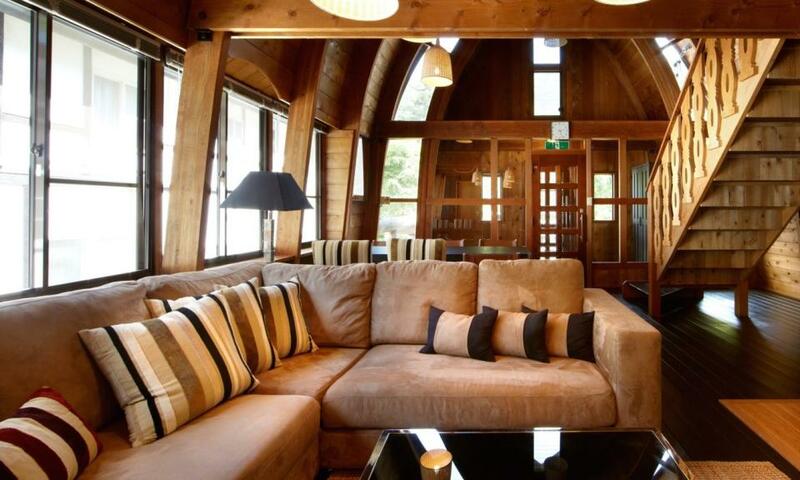 Hakuba Mountain Cabin is a beautiful, deluxe cabin combining sophisticated and contemporary interiors for your ease and comfort with the timeless design of a traditional alpine log home. 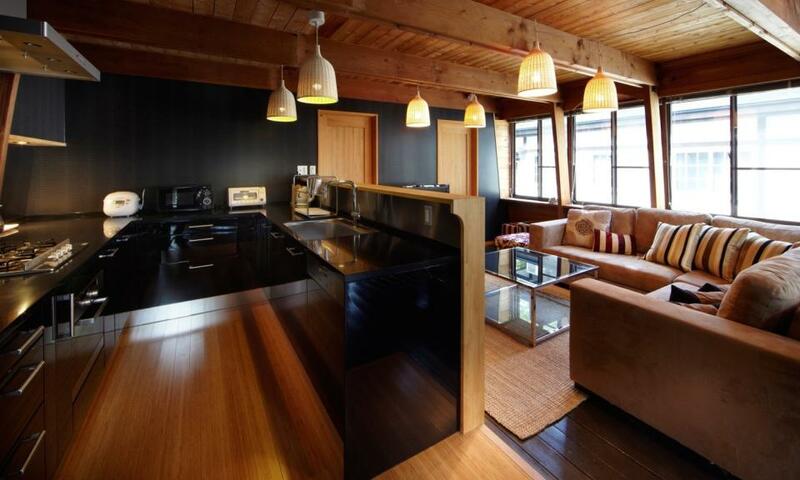 Located in Goryu, Hakuba Mountain Cabin offers a unique experience away from the typical crowd. 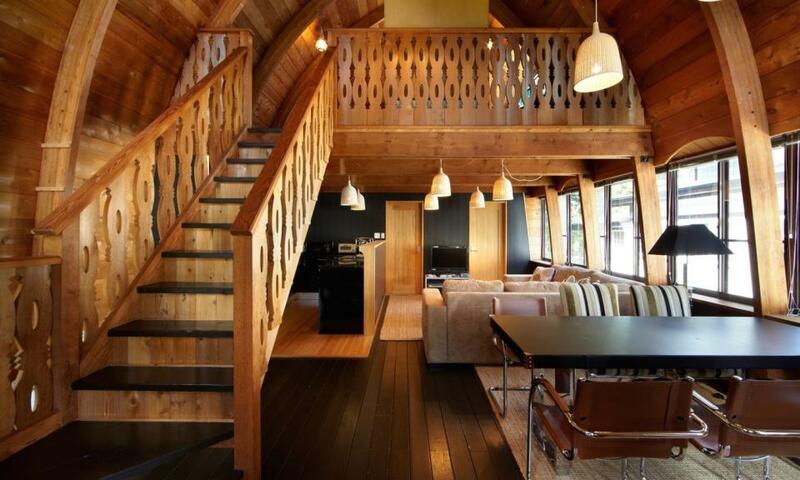 The unique design of Hakuba Mountain Cabin has all the appeal of a traditional alpine cottage while incorporating modern features and amenities for your everyday comforts and needs. 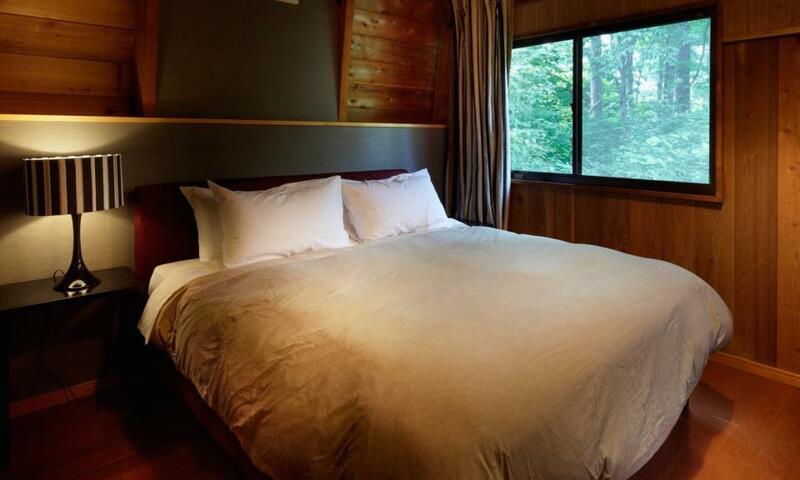 Top-of-the-line luxury kitchen appliances, comfortable and modern furnishings, and large windows allowing for plenty of natural lighting makes the exquisitely cozy Hakuba Mountain Cabin ideal for families or small groups of friends. Hakuba Mountain Cabin's 2 bedroom + 1 bathroom layout built over two storeys consists of a master bedroom with adjoining bathroom; a contemporary open-layout kitchen, dining and lounge; a spacious mezzanine area for the second bedroom; and separate entrance way with ample space to store your ski and snowboard equipment. 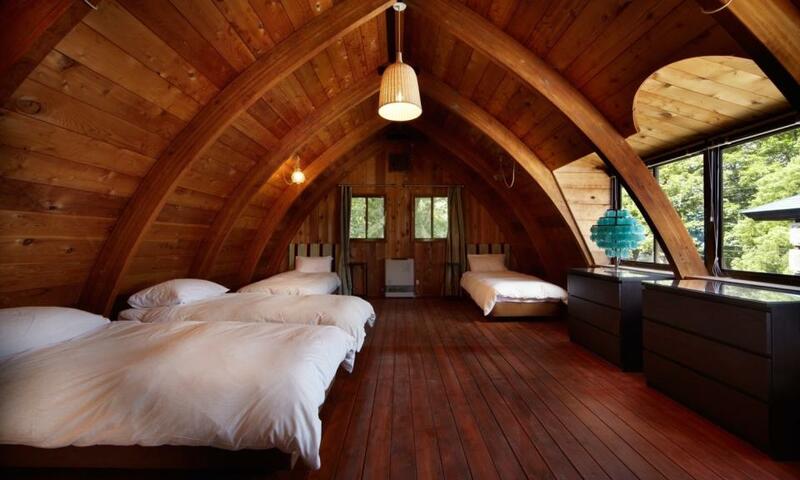 The all-timber build provides a warm and inviting ambiance, perfect for making you feel like you’re tucked away in the mountains. Hakuba Mountain Cabin’s location means you’ll have easy access to Hakuba’s popular Goryu, Iimori and Hakuba 47 resorts, in addition to a selection of restaurants & bars, Central Snowsports rental shop, Goryu bus stop, Kamishiro train station and the popular 7-Eleven convenience store. If you’re looking for a Hakuba experience that’s slightly off the beaten track, then come cozy up in the lovely Hakuba Mountain Cabin. 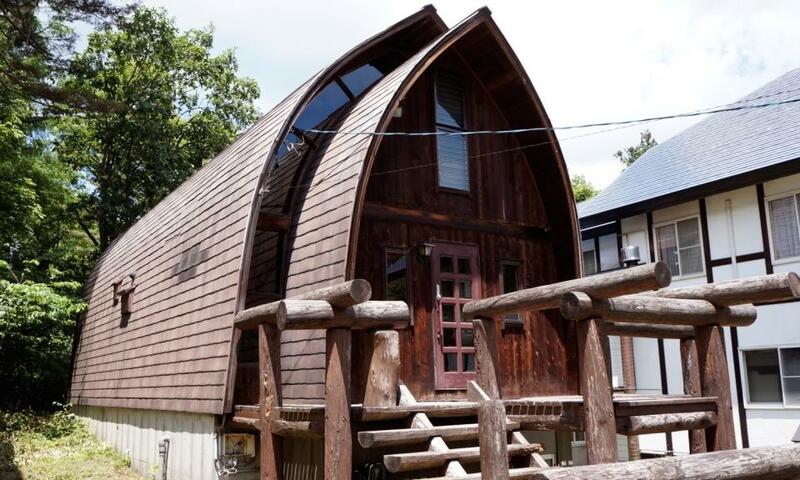 Hakuba Mountain Cabin is located in Goryu, located just a few minutes drive away from the main hubbub of Happo center. The Goryu area of Hakuba lies at the base of Hakuba Goryu ski resort, which is interconnected with Hakuba 47 ski resort - two of Hakuba's most popular ski areas. With a vast range of terrain to suit all levels, Goryu Iimori is also home to the excellent Hakuba Snowsports ski school. This small village area features a nice selection of restaurants and bars. With the use of the public shuttles, taxis or a private rental vehicle, you’ll enjoy exploring all of Hakuba Valley’s stunning destinations from Hakuba Mountain Cabin. © 2019 Japan Ski Experience is a Private Limited Company. Company No. 08015157 VAT 119317520. Japan Ski Experience Ltd is a company committed to customer satisfaction and consumer financial protection. We are therefore pleased to announce that, at no extra cost to you, all passengers booking with Japan Ski Experience Ltd for whom we act as 'Package Organiser' in accordance with The Package Travel Regulations 2018* are fully insured for the initial deposit, and subsequently the balance of monies paid as detailed in your booking confirmation form. This insurance has been arranged by Towergate Chapman Stevens through Zurich Insurance PLC. *Please see Terms and Conditions for clarification of where we act as 'Package Organiser'. Thank you for your enquiry with Japan Ski Experience. We are currently checking availability of suitable accommodation and will be in touch with tailor made quotations soon.